What is the Migraine Action Association? 1. To encourage and support research and investigation into migraine, its causes, diagnosis, prevention and treatment. 2. To gather and pass on information about treatments available for the control and relief of migraine and to facilitate an exchange of information on the subject. 3. 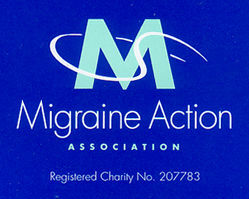 To provide friendly, positive reassurance, understanding and encouragement to migraine sufferers and their families. The Association bridges the gap between the migraine sufferer and the medical world. Our leaflets and newsletters are distributed to clinics, hospitals, libraries, doctors' surgeries and the media throughout the country.